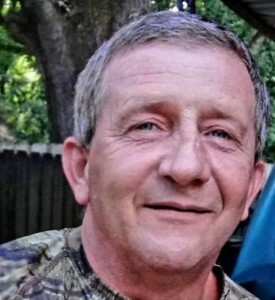 Mr. David Wesley Perkins, age 49 passed away on Thursday, January 31, 2019 at his residence. A graveside service for Mr. Perkins will be held on Saturday, February 9, 2019 at 2:00 P.M. at the Evergreen Cemetery in Williston, Tennessee. A visitation for the Perkins family will be held on Saturday, February 9 2019 from 11:00 A.M. until 1:00 P.M. in the Chapel of the Brownsville Funeral Home. He was preceded in death by his parents: Sammie and Bonnie Martindale Perkins. Mr. Perkins is survived by his daughter: Emily Perkins Echols (Drew) of Memphis, TN; one brother: Donnie Ray Perkins (Kim Parish) of Bowie, AZ; one sister: Mary Perkins of Jonesboro, AK; and one grandson: Dawson Echols of Memphis, TN. In lieu of flowers, the Perkins family requests that donations be made to the Brownsville Funeral Home for funeral expenses.